At Regan McEntee and Partners we have an expert team of Solicitors and Legal Executives who are happy to assist you if in purchasing or selling your property, taking out a new mortgage, restructuring your existing mortgage or transferring a site/family farm to the next generation. We pride ourselves in dealing with our clients in a professional and efficient manner. 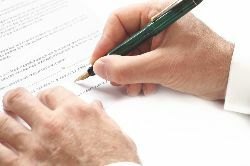 Landlord and tenant matters to include preparation of Leases and general advices in relation to same. We have an expert team led by our Managing Partner, Anthony Murphy and assisted by Cora Higgins, Ronan Regan, Stephen Murphy and Mary McSweeney. Our active Conveyancing practice ensures that we maintain an up to date knowledge of the ever changing legal landscape. We strive to ensure that our clients receive an effective, efficient and professional service and are fully advised on all issues relating the proposed transaction. We are very conscious of the complexities of each transaction and appreciate the difficulties that can be encountered by clients in understanding the process. We endeavour to guide our clients through their transaction in a friendly and professional atmosphere and with a view to ensuring that our clients finalise their transaction with a positive outcome in all respects. This is clearly evidenced by our client base which goes back over generations and we are very privileged to have a long association with many local families in Trim and surrounding areas and value their continued business.